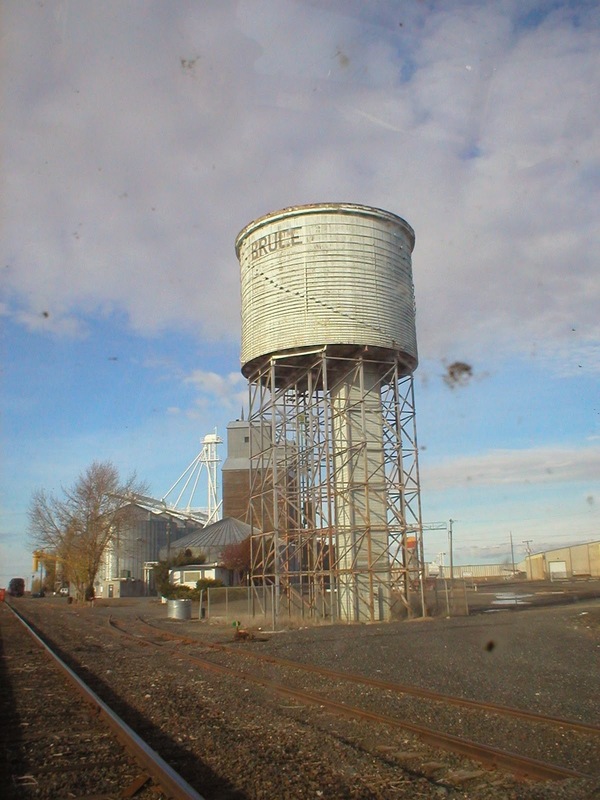 I did get a photo of it in 2006, during a speeder tour of the Columbia Basin Railway. Sorry about the dirty windshield. Bruce and Wheeler had identical water tanks. Unfortunately, the one at Bruce is gone. See the destruction here.